Team8 | Connectable watch for kids! Beyond a playful and entertaining universe, Team8 is the first health platform dedicated to children from 5 to 12 years old. GET YOUR WATCH NOW AND JOIN THE TEAM! Born from the personal experience of its founder and an alarming report on the growth of childhood obesity, Team8 is the connected watch for children from 5 to 12 years old. The concept is simple: conditioning the entertainment to a physical activity at least equal to the duration of the playing time. Beyond a playful and entertaining universe, Team8 is the first health platform dedicated to children. Want to know more about how the Team8 watch works? This watch is completely crazy. 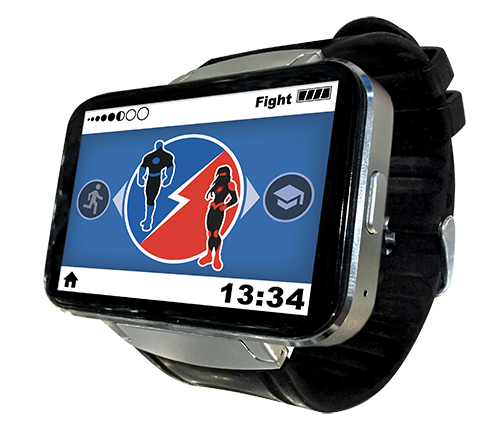 It has a beautiful color screen, responsive and embedded applications are really suitable for its young audience. I recommend it!